• 6" x 1/2" or 5/8"
• 7" x 1/2" or 5/8"
Wondering what size to order? The 6" fits a small wrist. The 7" bracelet fits most wrists, and can be bent out to fit a large wrist, or bent tightly to fit a small wrist. If you are unsure what size to order, measure your wrist with a measuring tape or a piece of string that you can measure with a ruler. If your wrist is 6-1/2" or less, the 6" bracelet will fit you comfortably. We offer customized bracelets, military tyle tags and helmet plates in stainless steel, aluminum and brass. We specialize in custom logos. Email or call if you want a special logo. On individual and small orders there may be an art set up charge for a logo not available in the choices provided on the site. Black bracelets are available only in aluminum. The text and logos on the black aluminum bracelets are etched into the metal. Stainless steel bracelets are the most durable. The text and logos on the stainless steel bracelets are etched into the metal and paint filled. After lengthy wear, the paint on the stainless steel bracelet may chip. We recommend using a sharpie to fill in the etching and wiping the excess ink from the surface. To inquire about discounts please email . We ship to all 50 states and US territories, APO, FPO, and DPO addresses and to International addresses. FREE Shipping on orders totaling $40 or more to all U.S. locations, which include APO/FPO/DPO addresses, and U.S. territories. Orders will be shipped via U.S. Postal Service Priority mail. Customer satisfaction is important to us. Stocked merchandise can be returned for a full refund within 7 days, shipping costs excluded. 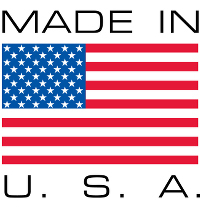 Custom orders cannot be returned unless there is an error due to the fault of Bracelets For America or our manufacturer. Payment can be made by check, money order, credit card, or paypal.com. Checks and money orders should be made out to Bracelets For America. Paypal.com payment goes to info@braceletsforamerica.com. Louisiana residents must pay sales tax unless the order is for resale. If you are interested in carrying our items, please call 318-443-7280 or email .